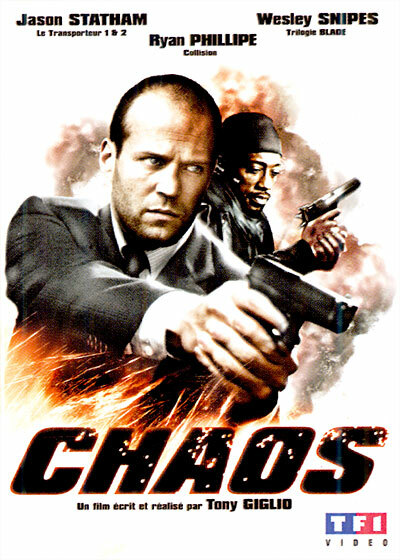 Chaos is an entertaining, but cliched thriller. 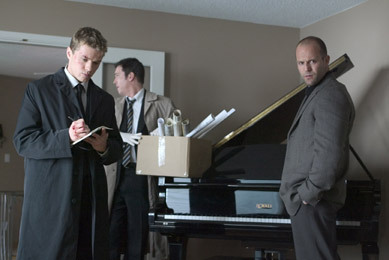 Quentin Conners (Statham) is a cop who gets fired after a hostage situation goes bad. 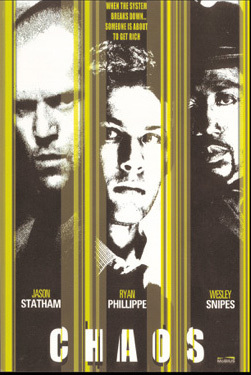 He gets reinstated with a new partner (Phillippe) after a bank robber named Lorenz (Snipes) takes over downtown. But something about the robbery isn't right when none of the money is taken...can Connors and his partner figure out the truth? This movie was made before Inside Man (2006) but it was on the shelf for 3 years. I guess it's hard to market after the success of that movie. It does have its similarities, but overall the movie is different. Statham, Phillippe, and Snipes all put in good performances. Henry Czerny has the usual underwritten role as the Chief. 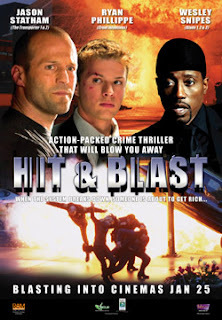 The movie does have some good action in the middle with a well-shot motorcycle chase and gunfight between Lorenz and Conners. The last interrogation scene with Phillippe is full of fun overacting. The climax\ending is VERY similar to Inside Man which almost ruins the movie. Hopefully Chaos will get a release because it shouldn't stay on the shelf forever.